April 02: In order to interact with general public and redress their problems, Kulgam police organized a Police Public meeting at DPO Kulgam. 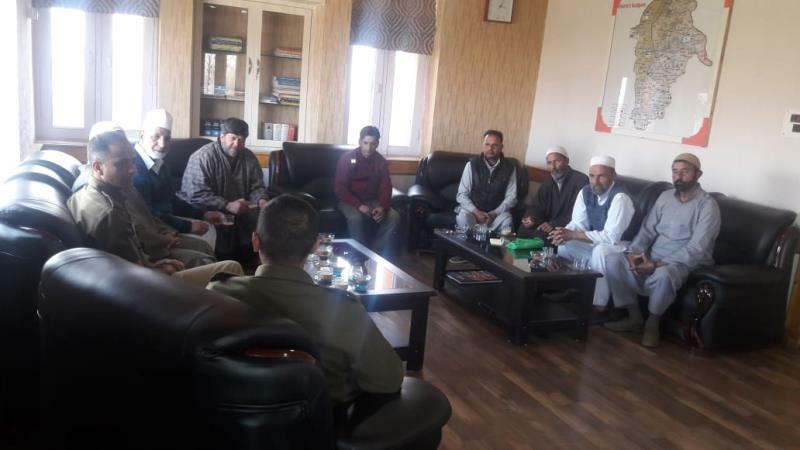 The meeting chaired by SP Kulgam Shri Gurinderpal Singh-IPS was attended by respectable citizens including Auqaf committee of main town Kulgam. The participants raised some issues during the meeting. They were assured by the chairing officer that their issues will be redressed on priority basis. While speaking on the occasion, SP Kulgam Shri Gurinderpal Singh stressed upon participants to keep watch on the activities of their young wards, so they do not indulge in antisocial activities. DySP Hqrs Kulgam and other officials of the district were present on the occasion.